The deets: Top stolen from my sis; Express shorts (old); Rachel Zoe heels; Rebecca Minkoff tote; Urban Outfitters sunnies; eBay necklace. I had such an awesome time having my sister Kaylin all to myself for a few days down here form NJ. I took off from work for the whole week in between weddings and we lounged by the pool, had not one but TWO amazing Mexican dinners, shopped, got pedis, and just did all the mandatory sisterly things that I miss. You know what one of the best parts of having one is? Getting to raid their closets. I totally stole this top out of her suitcase and she didn't even mind one bit. That's love. Good choice stealing that top from your sister. It looks great on you :) I love all the blue! Sounds like you had a fantastic time with your sister. I can't wait to hang out with mine soon! Borrowing clothes is one of the best parts about having a sister. That top looks really great on you! I love the colors. Obviously that shirt was meant to go with your necklace. Love it! You're making me miss my sissy, that's so awesome you guys got to spend so much time together. And that shirt looks so fab on you! I'm wishing I stole this great blue flowy skirt out of my sister's suitcase when she was last visiting! So glad you took a break, sometimes is so needed specially to spend time with the family. 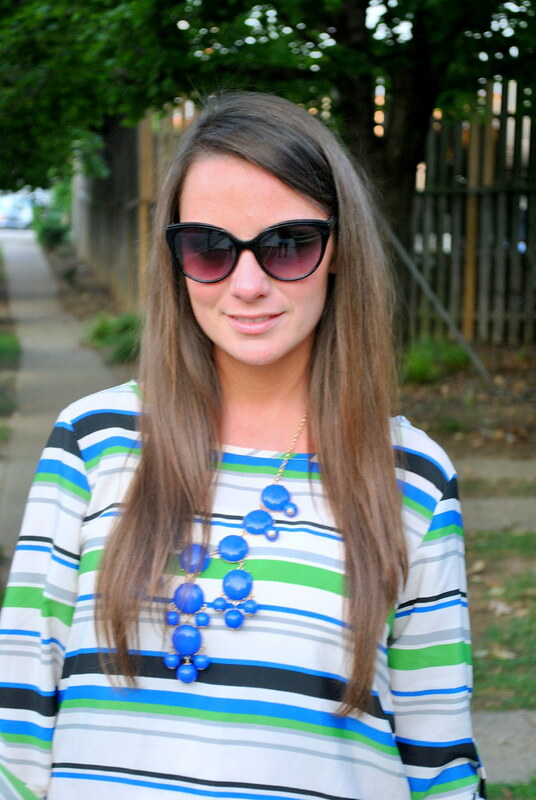 i love the striped top! Love that top, good steal! It looks great with the bubble necklace! 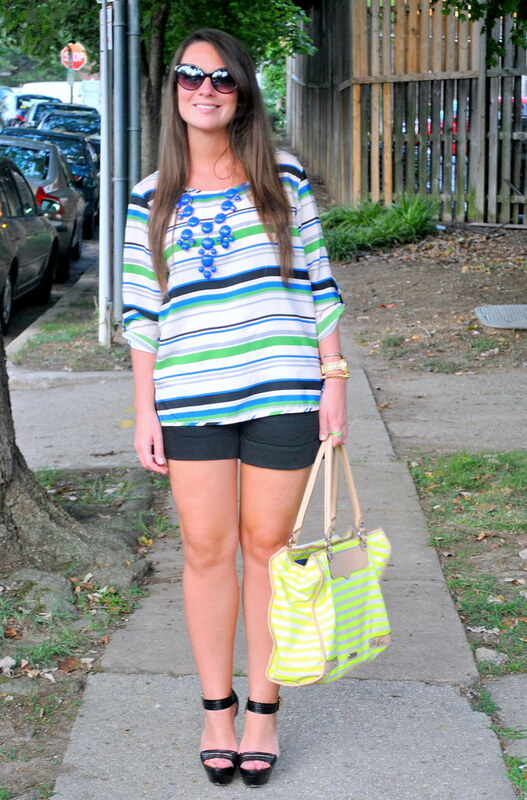 Love the mix of the striped top with the striped bag! I love, love, love that necklace! 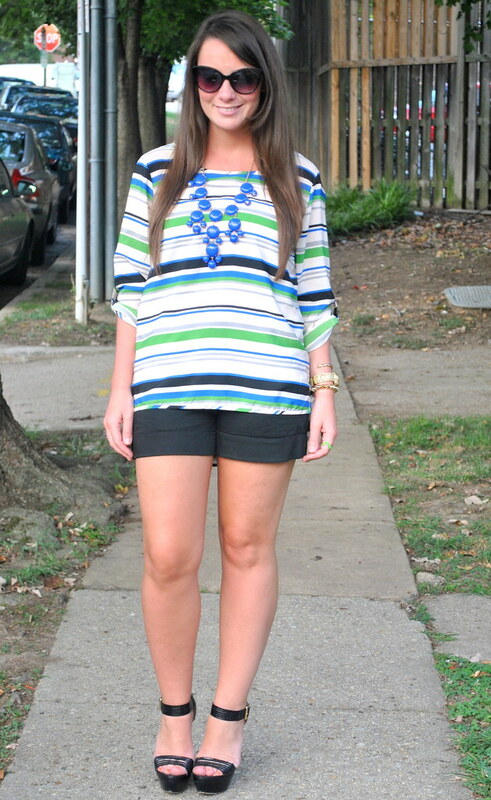 Great outfit, love that top with that bold necklace! I love the necklace ! 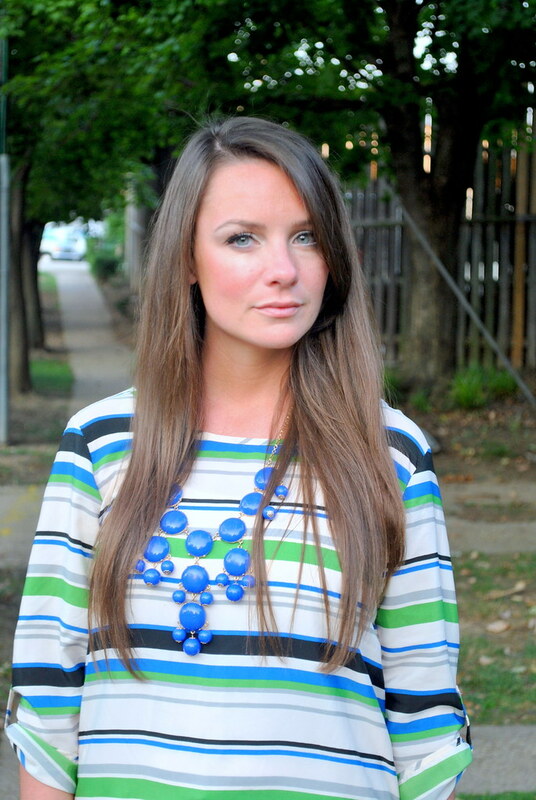 soo pretty loving the necklace from ebay I'm wearing one very similar in my post from today! Love your sisters top! and it goes great with the necklace too! uhhh i am OBSESSED with that top! Oh that top is so cute and I love the sunglasses! Love your outfit and makeup here! I love the pop of colors in your shirt.